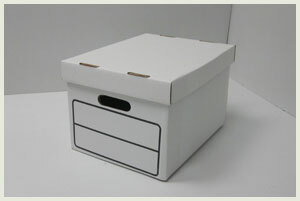 As a convenience to our customers, Mount Vernon Packaging has chosen to stock our banker boxes for your storage and filing needs. The feedback from this service has been extremely positive so far. 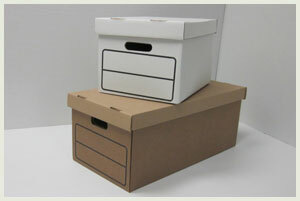 Using 44ect board and a heavy duty design, these boxes can safely be stacked 5-7 high to help maximize storage space. 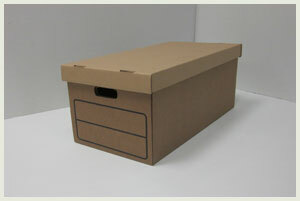 We offer two sizes; our Legal/Letter size which measures 15x12x10 and our Extra Long size measures 24 ½ x 12 ½ x 10. The Legal/Letter size is a white box and the Extra Long size is standard Kraft (brown), both with printed ID labels for easy identification. Please contact us for current pricing.